Welcome to your Netflix Streaming Report for September 10, 2015. After the long week you deserve a relaxing staycation with a bowl of popcorn, a bucket of ice cream, and only your Netflix queue to judge you. This past week, Netflix Watch Instant has been kind enough to supply us with Dear White People, The Blacklist, Teen Beach 2, and more. When I first saw Dear White People in theaters I felt that it was highly intellectual, so much so that it may be too smart for not just myself but for most audiences to enjoy. I still think that. And the film has every right to be. I find it hard to like a movie that is so smug and smart because it’s hard to explain why you believe it’s good. The film carries its nose up in the air and will go over a lot of heads, but Dear White People is definitely a lively movie that shakes up current events in a very honest and entertaining fashion. This film just came out last month and has already hit Netflix. This is a pretty new concept as I’ve seen a few other films do so. I’m not sure what that says about this movie or the state of independent films, but I’m happy it’s more convenient to check out now considering my initial thoughts on the film. 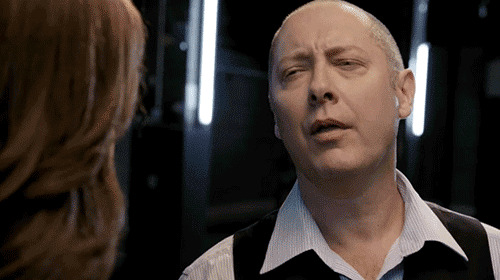 I haven’t seen a single episode of The Blacklist yet, but now that we’re two seasons deep it definitely qualifies for a weekend binge session. Brace your bank accounts, it’s time to see what’s Now Available to Own for the week of August 18, 2015. Every Tuesday we run down new movie and television releases that you can enjoy in the comfort of your own home, as well as some slick deals that can save you some coin. New on shelves this week are Walt Disney Animation Studio’s Short Films Collection, Once Upon a Time, The Blacklist, and more. Walt Disney Animation Studios Short Films Collection (Many Directors) – From Walt Disney Animation Studios comes an extraordinary new collection of award-winning and beloved short films for the first time with all-new extras including an inside look at the Disney Animation shorts, featuring introductions and interviews with the acclaimed filmmakers themselves. As with Pixar, Walt Disney Animation Studios has assembled a wonderful collection of their own short films that have premiered before their feature length movies. From this year’s Frozen Fever all the way back to 2000’s John Henry, this is a great bundle to give yourself the chance to revisit them all. What’s nice is that if you don’t want to own the movies these shorts are on, or if they’re so old they are unavailable, they’re all here for you. (I hadn’t seen a handful of them and enjoyed all that are included.) Plus you get some fun inside nuggets to learn more about their development. Defrosting Frozen – An arctic blast hit Storybrooke this year as the characters from Frozen and The Snow Queen took over the first half of the season. Defrost this 12 episode event as we talk to the actors who played Anna, Elsa, Kristoff and Snow Queen and, for the first time in forever, explore how Disney Animation’s blockbuster film was adapted for the small screen. Behind the Magic Tour – Join hosts Josh Dallas and Ginnifer Goodwin as they take you on an exclusive back stage tour on the stages of Once Upon A Time. See the sets, meet the crew and eat the food as we go behind the scenes and find out what makes Once Upon A Time the most magical show on television. Three Who Stayed – Meet three residents of Storybrooke who decided to stay after the ice wall came down. Raymond Reddington: Man of the World – This featurette showcases where Red has traveled and how the props and writers on the show imagine the exact places he has visited. Building a Blacklister: Vanessa Cruz – This second featurette highlights the ins and outs of the writers’ minds and how they come up with their favorite villains. While we provide you with a list of available new releases Now Available to Own every Tuesday, Coming Soon to Blu-ray and DVD looks at all of the recent home video announcements. For the week of July 18, 2015 we have Back to the Future 30th Anniversary Trilogy Edition, San Andreas, Poltergeist, and more. Find out when they’ll be out and what special features movie fans can expect below. The Womance – Reese and Sofía’s on-set crazy-mashup-antics. From dance moves to car crashes, see these women light up the screen and leave us in stitches with their side-splitting comedic styling. Say What? – Watch the hilarity that ensued when Reese and Sofía each tried to speak the other’s language. See Reese get her tongue tied trying to speak Spanish and watch Sofía’s tongue actually go numb from trying to speak English. Action Like A Lady – In this action montage we will see all the crazy fun that went into creating the insane action scenes in the film. From jumping out a ten-foot high window, to a crazy girl fight to commandeering a tour bus during a high-speed shoot out… bring on the laughs. Blu-ray Exclusive – The Guide to the Gods – An interactive exploration of the various Gods in Nordic mythological lore, which include: Odin, Thor, Loki, Frigg, Baldr, Hel, Freyja, Freyr and Njordr. Athelstan’s Journal (Parts 1 and 2) – Provides insight into the character of “Athelstan,” as he seeks answers about his direction in life and seeking the honorable path. The 100: Unlocking the Mountain – Cast and producers take us inside Mount Weather and share their insights on its secrets and the events that led to the epic season finale.